Amazing how cheap this head combo is!!! › Amazing how cheap this head combo is!!! Yes I know it is Chinese made but if you were just looking for lighter heads I would think that these would be just as good as stock heads. I know you high horsepower guys will bash these I just wonder if spending money on my cast heads would yield the same performance as buying these but these being for the same amount of money or less. Good luck. Make sure you post pics of the carnage when you drop a valve and grenade your motor. Cheap is never the route to go on an engine. (11-17-2018, 11:44 AM)73pony Wrote: Good luck. Make sure you post pics of the carnage when you drop a valve and grenade your motor. Cheap is never the route to go on an engine. Just surprised at the cost. I'm most likely going to have the same amount just in my stock 4v heads. 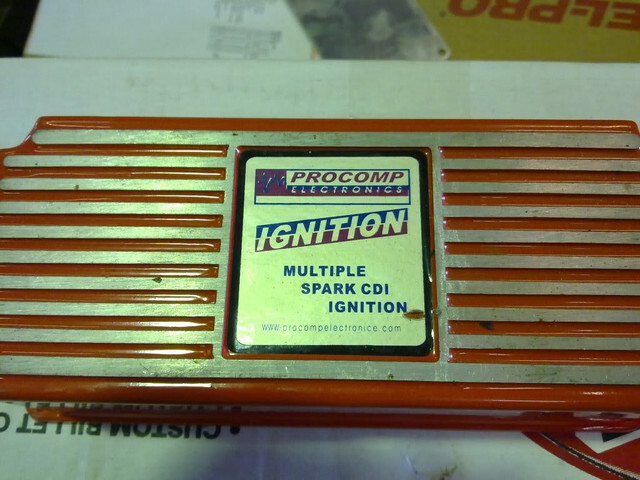 So you would buy engine components from a company called procomp electronics? I would be very skeptical of this. Like 73 Pony said, cheap is not the way to build an engine. I’m sure you will make the right call. Hey I have just decided to go all thru my motor after finding some questionable things done. Looks like the guy that redid my car used some cheap Chinese crap in the motor. So now I don’t trust anything that was done to it. Anyway don’t cheap out on engine components or it will end up costing you more. Good luck with your build! 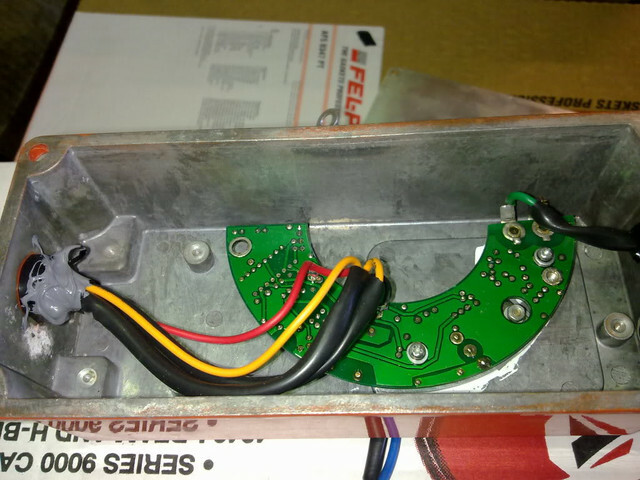 Never buy anything from ProComp/Speedmaster/Professional Products. About ten years ago they were sued my MSD for copying cloning the 6AL box to the extent that at a quick glance, you almost couldn't tell the difference. Internally, it was a whole different story. Now, there is plenty of "rob and duplicate" R&D that goes on in the performance aftermarket, but ProComp takes it too far. Not only do they copy, but in some cases such as the MSD, they intentionally make it similar enough that you might mistake it for the real deal. They've crapped up their name enough that they bought a company in CA, Speedmaster and now market much of their stuff under that name. They don't do a very good job of hiding who they are and their name is pretty much dirt in the industry. Their R&D is limited to the cost of buying a competitor's product and shipping it to China to be copied. If you compare their intakes to Edelbrock, you can see exactly where they got the patterns. Nobody wins in the "race to the bottom" on pricing, all it does is put good companies out of business and the consumers are left with crap products. Even if the heads were any good they obviously cut costs someplace. That leaves the rest of the assembly. A broken rocker may not cause much damage, but when the valve springs break and when the valves start coming apart is when bad things happen to your engine. Did you read through the list of the head components? For head material they say aluminum, no mention of grade of aluminum, or heat treatment. They actually say they use ductile iron valve seats, which is the lowest cost seat, not known for long lasting with unleaded gas. Valve guides, bronze, good ones are manganese bronze, last much longer than plain bronze. Lots of ways to reduce the cost. There is nothing inherently wrong with the procomp heads other than the rocker studs. There are very few complaints compared to the bazillions of heads they have sold but I wouldn't use them on a high revving high hp engine. That persons comments are about pro comp rods and the ops question was about the heads and there is no mention of heads in that persons post. Also, there is no info as to the size of the engine or the hp etc and he may have been running nitrous or a supercharger etc. different companies make different strength for different apps. If one has a big cube engine and revs it to 7,000 rpm, pro comp rods are not the best choice, neither are the lowest priced rods that eagle sells etc. It is too often that when a part fails the owner automatically blames the mfg. His comment below also raises suspicion and many questions, like how can a person have $6,000.00 in what looks like a stock block when it sounds like he built it from Chinese parts? "$500 FOR RODS GONE. AND OVER $6000 WASTED IN A MOTOR BLOCK"
I did a little reading and it seems you have to use their head and intake gaskets and head studs and they are 18mm plugs. What's wrong with the studs? They break? I already have had a bad experience with a dropped valve in my first 351 2v back in the mid 80's. It blew up on cam break in. I think the cam was too big and got spring bind. I wish I could find the specs of that cam. It was an Erson high flow 3. It sounded really good for the 15 minutes that it ran. I was 16 at the time and trusted a friends brother to install the cam. I was dumb to the whole process back then. Since then I have built two Chevy motors and done a cam swap on a couple more with no problems. I decided back then to figure it out on my own a d not trust in another shade tree mechanic.